Pilates in Barcelona is becoming more and more popular as it is around the world. Recently it has developed a more commercial use as a toning exercise system in gymnasium however, Pilates started as method to combat injury prevention and injury rehabilitation. Trend show that Pilates is returning to it original roots and being incorporated into exercise routines by coaches and therapists. Pilates focuses on core strengthening, balance, and flexibility which are also techniques focused on to overcome many of the more frequently seen injuries by orthopaedic therapists. It is these similarities which have encouraged many therapists as well as pilates instructors to employ the pilates method for both prevention and rehabilitation for orthopaedic problems. Physiotherapists and equivalent degree therapists are using Pilates as a tool for retraining correct activation of the Multifidus, TrA muscles and pelvic floor muscles. Like regular pilates classes, the relevant exercises are given to patents with the objective to, with time, progressively increase the repertoire and intensity of exercises. Sport professionals are also being seen adopting Pilates. The coaches and athletes are not only using pilates to benefit from improving core strength and flexibility, but also to prevent injuries and aid the athletes capacity in their field. If an athlete is injured, the controlled and aligning use of movement used in Pilates is an ideal form of rehabilitation and exercise, which when practised correctly, will prevent any further injury. As Pilates in a low-impact means of exercising it dramatically reduces the risk of irritating or encouraging joint inflammation. Injury prevention can be reduced as one becomes more aware of their body, for example; being conscious of slouching give the person an opportunity realign themselves before the muscles stretch and tighten to form a hunch. 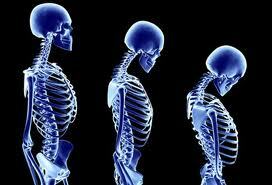 In the same vain, a greater awareness of ones body, can help avoid injuries from over training. This is especially relevant when engaging in high impact exercises, or sports that put excess strain on your body. Pilates is being practised as a way of re-educating muscle memory to gain neuromuscular control and core strength. Achieving both neuromuscular control and core strength educates the body to work in a balanced and efficient manor, while increase flexibility helps prevent injury.